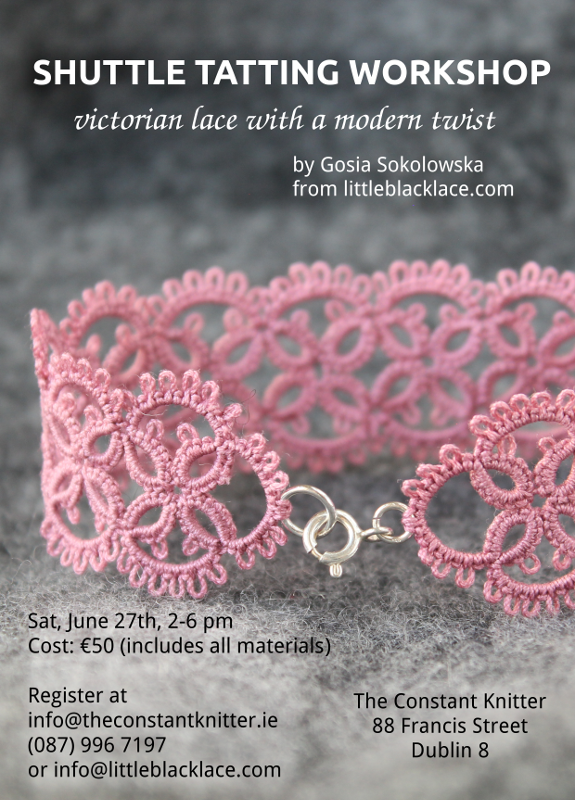 I’m very excited to announce that this year – for the very first time – littleblacklace offers a shuttle tatting workshop! It’s on Saturday, 27th of June in Dublin, Ireland. More details on the attached poster!